Make doughnuts even more delicious with an apple filling, cinnamon sugar and a maple glaze, topped off with a silky créme Anglaise. Just make sure you don't eat them all by yourself. For the doughnuts, put the flour, sugar and salt in the bowl of an electric mixer fitted with a dough hook (if using dried yeast, add it to the bowl now). Stir to mix, then make a well in the middle. In a small bowl, stir the fresh yeast with a little milk until creamy, then set aside for a few minutes until foamy. Add to the well in the flour along with the egg yolks and remaining milk. Mix on low speed to combine, then increase the speed slightly and continue to mix until a dough forms. Reduce the speed a little before adding the butter, a little at a time, and continue mixing until it is fully incorporated. If the dough seems too wet, mix in a little more flour, a tablespoonful at a time. Increase the speed and knead the dough for a couple of minutes until it is smooth and elastic. Cover the bowl with cling film and leave the dough to rise in a warm spot for 1-2 hours or until doubled in size. Meanwhile, make the apple filling. Add the lemon juice to a large bowl of water. Peel, core and roughly chop the apples. As you chop them, immediately put them into the bowl of acidulated water to prevent them from browning. Drain the apples and pat dry with a kitchen towel, then tip into a heavy-based pan and add the sugar and butter. Cook over low heat, stirring occasionally, for about 30 minutes or until the apples are very soft. If there seems to be too much liquid, continue to cook over a low heat until the mixture has thickened. Transfer the stewed apples to a food processor and blend until smooth, stopping the machine to scrape down the sides once or twice. Pass the apple purée through a sieve into a bowl and leave to cool completely, then spoon into a plastic squeezy bottle with a long tip (or a piping bag fitted with a long, thin nozzle). Set aside. Knock back the risen dough and lightly knead it on a floured surface. Roll out the dough to a 1cm/½in thick square or rectangular shape. Line two baking sheets with baking parchment. Put the dough on one of the baking sheets and chill in the freezer for about 30 minutes or until the dough is semi-frozen (this will make it easier to cut). Using a sharp knife, cut the dough into 4cm/1½in squares. Arrange them, spaced slightly apart, on the lined baking sheets. Cover with lightly greased cling film and leave in a warm spot for about an hour or until the dough is one-and-a-half times the original size. 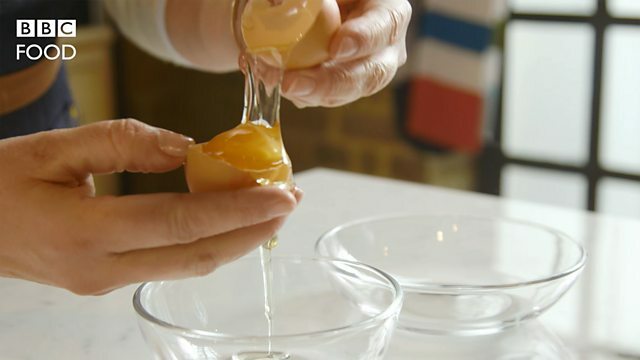 Meanwhile make the maple glaze, combine the ingredients in a bowl with a tablespoon water and whisk until smooth. If the glaze seems too thick, add a little more water, a tiny splash at a time, and stir well until you get the desired consistency. For the cinnamon sugar, mix the caster sugar and cinnamon together on a plate. For the crème Anglaise, heat the cream with the vanilla seeds and pod in a saucepan until it begins to boil. Remove from the heat and let the vanilla infuse the cream as it cools. Meanwhile, beat the sugar and egg yolks together in a large bowl. When the vanilla cream has cooled, fish out the pod, then mix the cream with the sugary yolks. Pour the mixture through a fine sieve into a clean saucepan. Set over a low heat and cook, stirring constantly with a wooden spoon, until the mixture thickens into a thin custard that will lightly coat the back of the spoon. Heat 4-5cm/1½-2in of oil in a deep heavy-bottomed pan, or a deep-fat fryer, to 170C. Deep-fry the doughnuts, in small batches, for about 2 minutes or until golden-brown all over. Remove with a slotted spoon and drain on a tray lined with several layers of kitchen paper. While the doughnuts are still warm, pipe the apple filling into the centre of each, then roll in the cinnamon sugar. Once all the doughnuts have been deep­ fried, filled and sugared, glaze them in several batches. Place a few in a single layer on a wire rack set over a large baking tray. Drizzle the maple glaze over them and leave to set slightly before transferring them to a serving plate. Serve warm or at room temperature with the vanilla crème Anglaise.